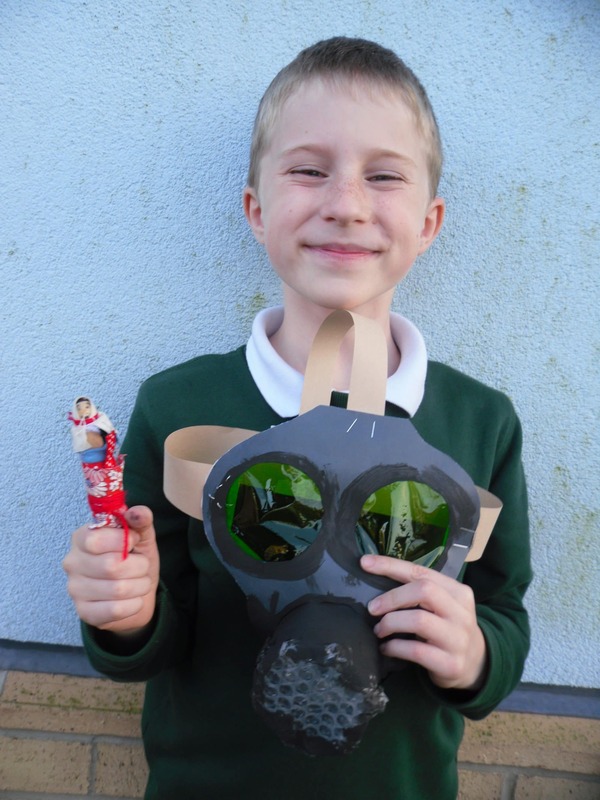 As part of our World War 2 topic we have been looking at the preparations for war. 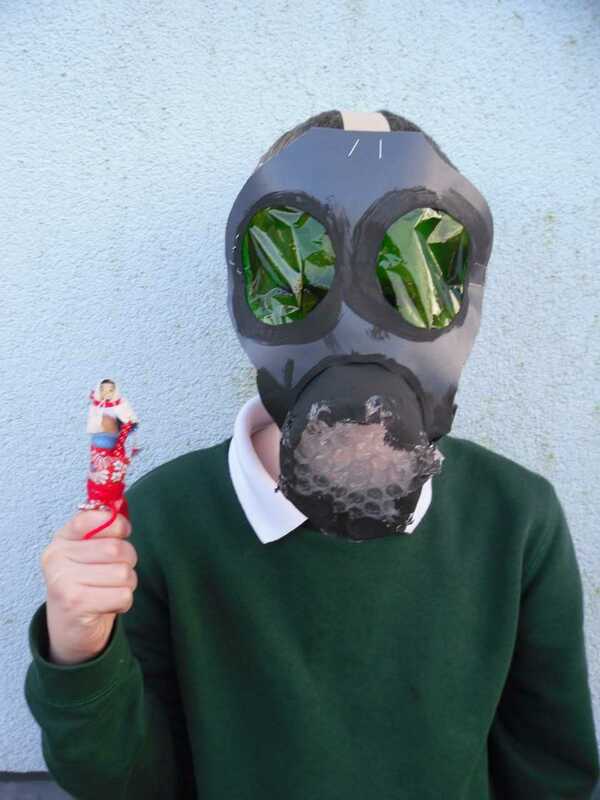 Having discussed the reasons behind why the government issued everyone with a gas mask, we then created our own. Here’s Edward modelling his: now you see him, now you don’t!